Implement a web page as shown below. 2. 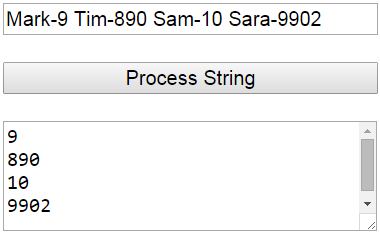 When "Process String" button is clicked, the numbers should be extracted from the string and displayed in the text area element. <input type="button" value="Process String" onclick="processString()"